There are several places to rent jet skis along the harbor at Destin, Florida. 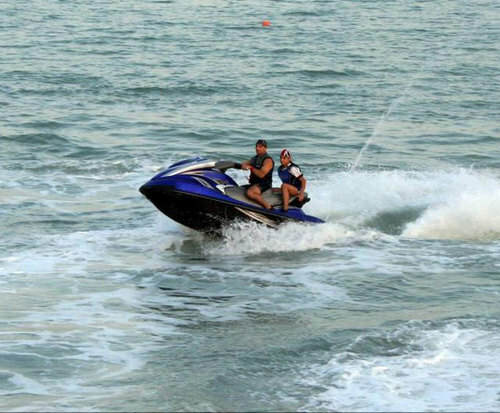 Jet skis are personal watercraft that have a jet like engine under them, and you can ride the waves with them. They are at times called wave runners. They will go rather fast, but they are generally safe as long as you handle them responsibly. It is great fun to be out on the water skipping across the waves, and exploring. Any of the water sports operations along the harbor can rent a jet ski, or any other watercraft such as a pontoon boat or equipment for parasailing. The staff at these rental places can show you how they operate and how to be safe. You will need to rent a life jacket too, and hopefully have a lot of sunscreen and good sunglasses. Most place will not rent skis to be taken into the Gulf of Mexico as a safety measure. You are required to watch a safety video. Anyone born after 1988 is required to take a boat safety test and get a license, which cost three dollars. 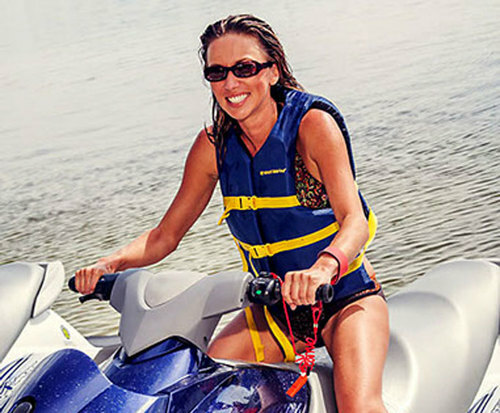 Jet ski are expensive pieces of equipment, and a refundable damage deposit is often required - as much as $500. Reservations are not taken, but these shops have plenty and usually have some available. They may be rented by the hour or by the day. You must be 18 to rent a jet ski, and 16 to legally drive one. The skis come usually with one size seat that can seat two or three people with a weight limit of 450 pounds combined. Some shops have skis with two seats and are larger.